Yesterday I wrote about the harm Christians can inflict by projecting an unbalanced picture of the gospel, in particular the habit of stressing what we’re against more than what we are for. Let me give you this example: Romans 6:23 says: For the wages of sin is death, but the gift of God is eternal life in Christ Jesus our Lord. We cannot emphasize the first part of the verse that speaks of sin’s ultimate consequence, and omit the second that speaks of the remedy. A case in point is the story in the 8th Chapter of John about Jesus’ encounter with a woman that was arrested while in the act of adultery. Her main accusers were those who represented the religion of their day and they demanded she be stoned to death in accordance with the Law of Moses. You remember that when Jesus told them that they who had no sin could be the first to cast the stones, all her accusers eventually walked away in shame. Here is the interesting part: When Jesus turned to speak to the woman, many could have expected Him to address her sin point blank. He did not, at least not directly. 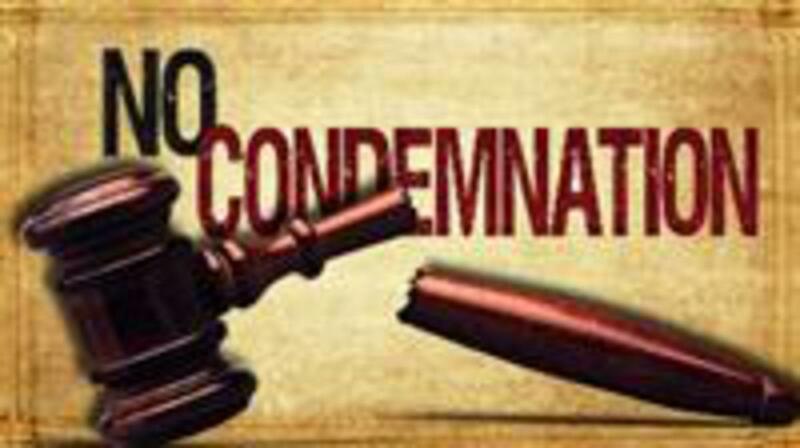 When her accusers were gone and no longer there to condemn her, Jesus told her: “Neither do I condemn you: Go, and sin no more.” I’m sure she quickly understood that believing in Him could free her from condemnation. And this was no isolated incident. Jesus did the same with the Samaritan woman whose story is found in the 4th Chapter of John. Though He knew at the time of their encounter that she had had five husbands and was now living with another man to whom she was not legally married, he did not rebuke her for it. Instead, He told her that He had the water of life and was the Messiah she had been expecting and longing for. Everyone that has committed his or her life to Christ has the same benefit. Paul, before his encounter with Jesus and his calling to be an apostle, believed the same way as the adulterous woman's accusers. Once Christ changed his life forever, he later wrote: Therefore, there is now no condemnation for those who are in Christ Jesus. If you have committed your life to Christ, don’t let anyone fool you into believing that you are, or even can be, condemned. If you have entertained these thoughts, I want you to know that they did not come from God. Never forget this: Jesus came to save, not to condemn! If you have not yet done so, trust Him now and commit your life to Him. Then, you will be free indeed, free from condemnation.